A flat or staggered pole hotter-wound Mustang / Duo-Sonic pickup for a fatter twist on the classic tone. Still with snappy highs, a fatter mid-range with rounded bass. Scatterwound with wax potted coils and flat or staggered Alnico 2 magnets. Medium output. Vintage style cloth covered lead wire. A great replacement Mustang / Duo-Sonic pickup if you want to balance the vintage tone with a warmer, more blusier feel. 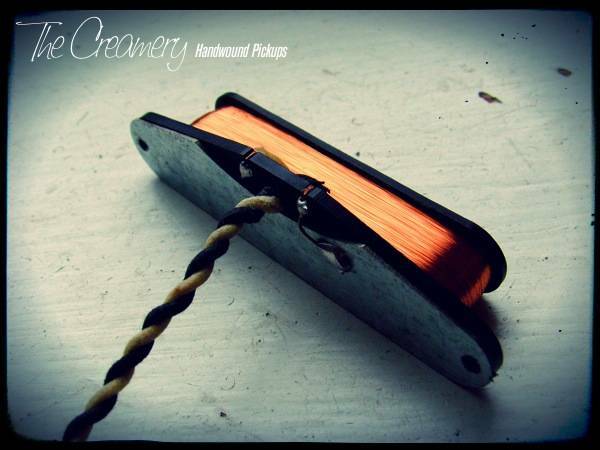 The Bridge pickup has a custom made ferrous baseplates under the rod magnets to slightly shift the resonances toward the lows which combined with the hotter wind, helps to create a warmer bridge tone. The Neck Pickup can be RWRP for hum cancelling in the middle position.